Composer Petr Wajsar founded the HI-FI band in 2002. They have been playing in the current line up since 2006. This year the band won two major contests: Boom Cup in Ostrava and Starter Live in Prague. Hi-fi basically focus on electronic dance music and jazz, but their songs include many genres such as hip-hop, reggae, techno and drum´n´bass. Original lyrics in Czech and English often include wordplay, rap and beatbox. 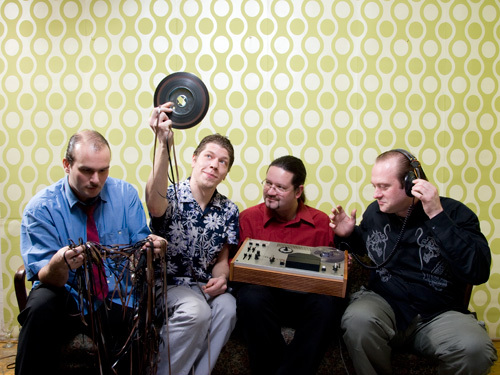 Apart from live instruments the band often uses electronics and drum-machines. Most of the repertoire are original songs, but jazz standards in dance and other arrangements can be included – depending on the venue.